A surge in the popularity of classic cars has seen the building of continuation models become quite a lucrative business for automakers. Continuation models are essentially modern examples of classic cars with VINs that carry on from the last original cars, creating an unbroken bloodline linking the past examples with those of the present. Importantly, the modern cars are built to match the originals, right down to the types of bolts and rivets used. Prime examples are the six Lightweight E-Types built by Jaguar in the past couple of years, and the nine XKSSes that the company is about to start building. Now Aston Martin has announced it will build 25 new examples of one of its most iconic models, the DB4 GT. The cars, to be known as the DB4 GT Continuation, will be special “lightweight” examples, of which just eight originals were built out of the total run of 75 DB4 GTs. The project is being handled by the Aston Martin Works classic car department, using a blend of old world craftsmanship and modern techniques. For examples, there will be subtle improvements made to the handling, braking and most importantly safety, though great care will be taken to ensure the modern cars fully retain the feel and character of the originals. Central to this is a version of the famous Tadek Marek-designed straight-6, which displaced 3.7 liters and featured two spark plugs per cylinder. In the originals, the engines delivered about 340 horsepower, with drive sent to the rear wheels via a 4-speed manual transmission and a limited-slip differential. The same setup will be used for the new cars. Deliveries of the DB4 GT Continuation will commence in the third quarter of 2017. The expected price tag for one is £1.5 million (approximately $1.88 million). The cars will be for track use only, the automaker has confirmed. 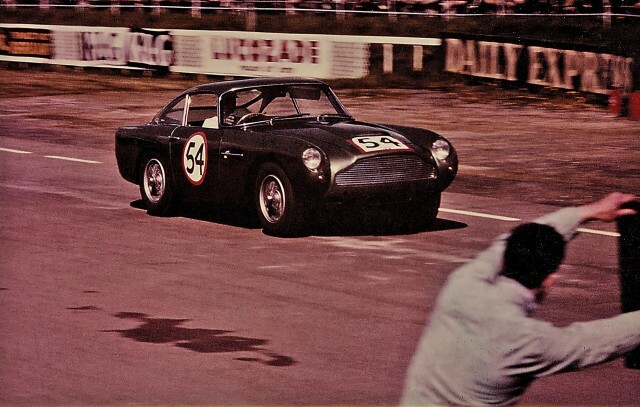 Aston Martin isn’t new to the continuation game. Arguably it’s most famous is the DB4 GT Zagato Sanction II, of which just four were built in the late 1980s using unused chassis of the original 1960s-era Zagato specials. Today the cars trade hands for millions of dollars. Is Uber selling its Southeast Asia business to Grab?